Bagnall RD, Weintraub RG, Ingles J, Duflou J, Yeates L, Lam L, Davis AM, Thompson T, Connell V, Wallace J, Naylor C, Crawford J, Love DR, Hallam L, White J, Lawrence C, Lynch M, Morgan N, James P, du Sart D, Puranik R, Langlois N, Vohra J, Winship I, Atherton J, McGaughran J, Skinner JR, Semsarian C. A Prospective Study of Sudden Cardiac Death among Children and Young Adults. N Engl J Med 2016;374:2441-2452. Semsarian C, Ingles J, Wilde AA. Sudden cardiac death in the young: molecular autopsy and a practical approach to surviving relatives. Eur Heart J 2015;36:1290-1296. Inges J, Spinks C, Yeates L, McGeechan K, Kasparian N, Semsarian C. Posttraumatic Stress and Prolonged Grief After the Sudden Cardiac Death of a Young Relative. JAMA Intern Med 2016;176:402-405. Semsarian C, Ingles J, Maron MS, Maron BJ. New perspectives on the prevalence of hypertrophic cardiomyopathy. J Am Coll Cardiology 2015;65:1249-1254. Maron BJ, Spirito P, Shen WK, Haas TS, Formisano F, Link MS, Epstein AE, Almquist AK, Daubert JP, Lawrenz T, Boriani G, Estes NA, 3rd, Favale S, Piccininno M, Winters SL, Santini M, Betocchi S, Arribas F, Sherrid MV, Buja G, Semsarian C, Bruzzi P. Impantable cardioverter-defibrillators and prevention of sudden cardiac death in hypertrophic cardiomyopathy. JAMA 2007;298:405-412. Ingles J, Burns C, Barratt A, Semsarian C. Application of Genetic Testing in Hypertrophic Cardiomyopathy for Preclinincal Disease Detection. Circ Cardiovasc Genet 2015;8:852-859. Ingles J, Semsarian C. The value of genetic testing. Trends Cardiovasc Med 2014;24:217-224. Semsarian C, Wu MJ, Ju YK, Marciniec T, Yeoh T, Allen DG, Harvey RP, Graham RM. Skeletal muscle hypertrophy is mediated by a Ca2+-dependent calcineurin signalling pathway. Nature 1999;400:576-581. Maron BJ, Maron MS, Semsarian C. GEnetics of hypertrophic cardiomyopathy after 20 years: clinical perspectives. J Am Coll Cardiol 2012;60:705-715. 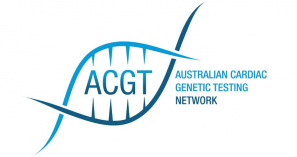 Ingles J, Semsarian C. The Australian Genetic Heart Disease Registry. Int J Cardiol 2013;168:e127-128.